Today during class, we did our fundraiser kick off. Your child should have brought a packet from Great American Opportunities home. Our fundraiser starts today, and ends on Friday, October 19th. If you buy through the website, you can have the Tervis tumbler shipped to Labay. Make sure you designate the student you want to buy the tumbler from. 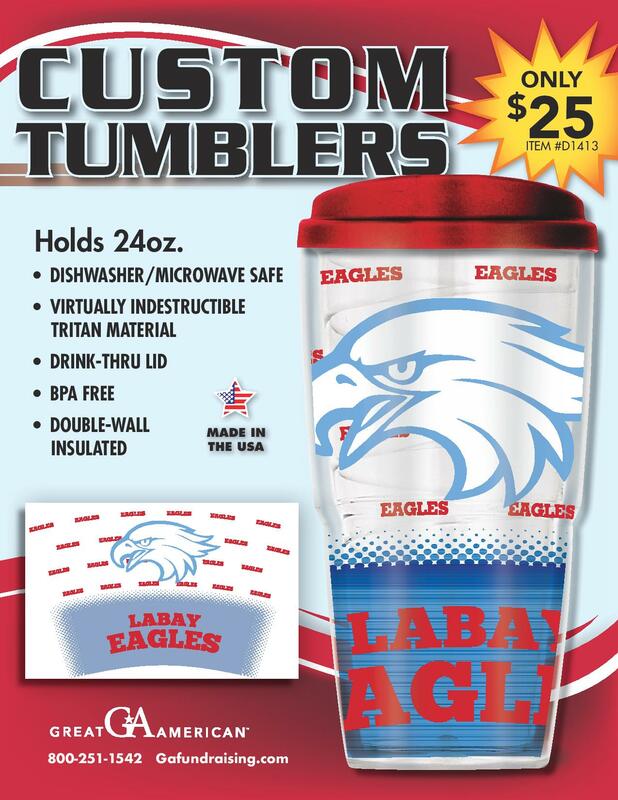 We also have a custom Labay Middle School Tervis tumbler. This tumbler has to be bought in person.